From an early age, Peyton Manning loved the mental challenge of playing quarterback. He is known for his extraordinary understanding of the game and his tireless work ethic. 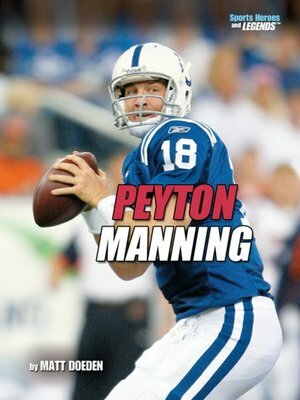 As the star of the Indianapolis Colts, he is on track to break career records set by history's greatest quarterbacks. Even so, he is a team player, and he achieved his greatest victory when he led the Colts to a Super Bowl championship in 2007. Find out how this football heir is proving himself as the NFL's next legend.